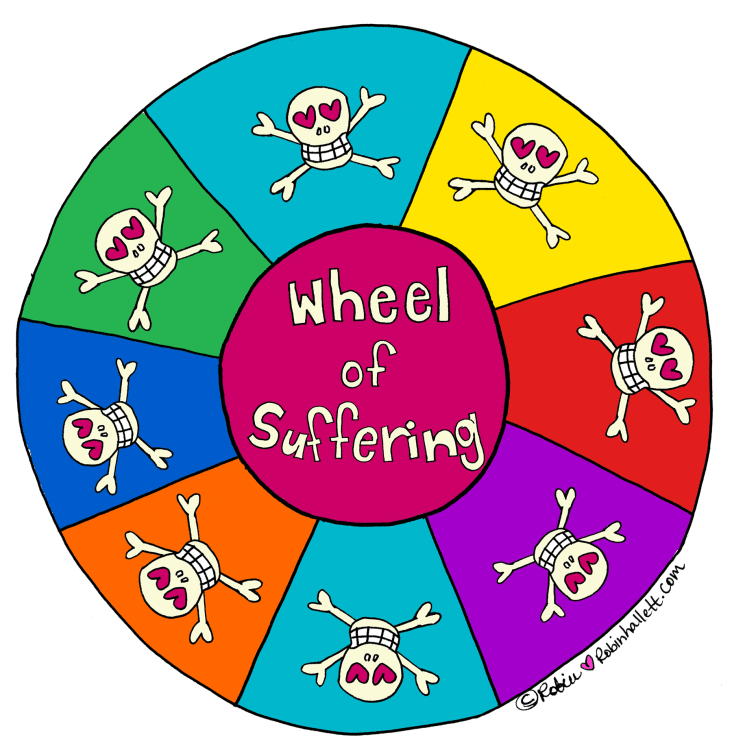 Wouldn’t it be nice if there was a loud alarm bell which rang every time we were caught spinning on the wheel of suffering? An alarm loud enough to wake us up; one with flashing lights and a disco ball. It’d be great if there was even a loud speaker announcement: Alert! alert! You are spinning again. Please stop! Exit the wheel! Our suffering often speaks the loudest. Whatever name you choose to call it, we each have a small and separate little self inside who spins the wheel. In those moments, that little self takes over and there is little anyone watching from the outside can do to help because awakening is an inside job. If you are confused about truth and reality, you won’t be able to hear Truth and Reality. You aren’t choosing to suffer because you’re a stubborn jerk-o. 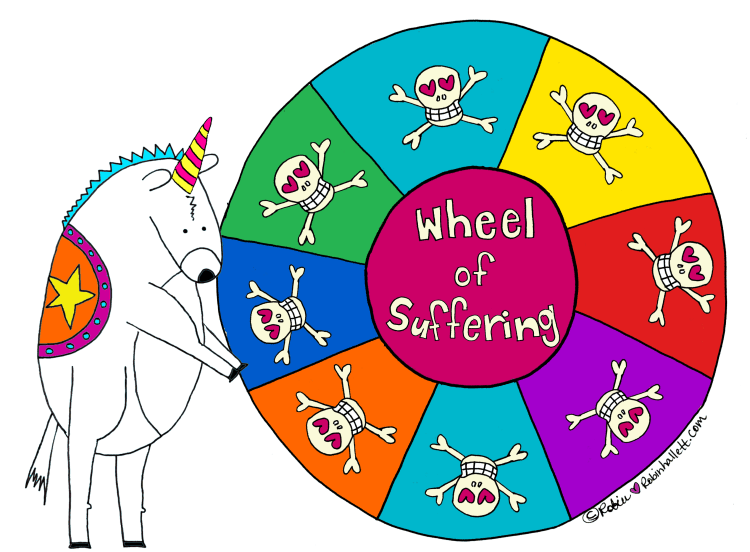 I have heard the messages out there which teach from a place of harshness, saying you refuse to leave your wheel of suffering because you are a jerk-o. NO WAY are you a jerk-o. You are a precious gem, a spark of the Divine who is trying your best to stay safe and alive. This is very different than being a jerk-o, right? Please, let’s not be so hard on ourselves. 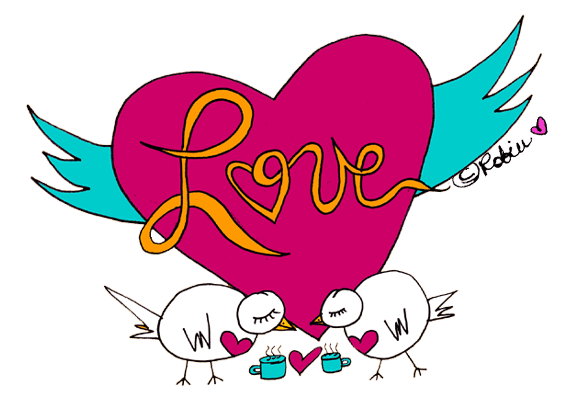 We are about kindness and love here. We mistake the suffering for our identity. We have a hard time leaving the wheel because we get mixed up about our identity. We think we are the suffering. 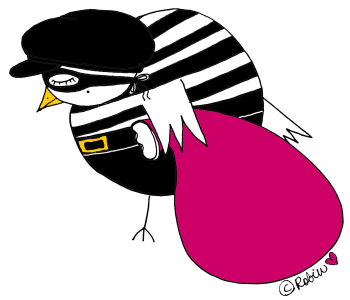 We assume the badness is part of us. We don’t like believing we are the badness, this too makes us suffer and so this drives us to control the suffering. Or I should say it drives us to think we can control the suffering. The little suffering self inside us is convinced there are fixes and so it continues to shout its bad advice at us: Try this, do that, try that, do this. Try harder. Try faster. Change the spin. Spin harder! We can fiddle with the knobs and press the buttons as much as we like but we will not be able to fix anything from the wheel. If you want it to change, you will have to leave. You will have to choose even though the little voice inside is insisting it’s a mistake, even though it all seems so very very real. You will have to leave because you know that you have tried your best and nothing on the wheel has ever worked for you. You’ll leave because you know it is time to bring that little self to healing. You can leave as soon as you feel yourself spinning. It’s okay if you only catch it once in a while at first, your conscious awareness is actively seeking an easier way to be and it will remember sooner which means next time you will exit the wheel quicker. We can become fixated on the heaviness and anxiety we carry, fascinated by and attending to the upset. Again, we do not do this because we are stubborn jerk-o’s. We do this because we get scared and lost. When you catch yourself spinning again you can practice dropping it. You can choose to surrender it. Offer it up. Drop the poop cigar. Did you ever see the Nestea Plunge commercial? Sometimes I picture myself falling backwards into a nice body of water, I realize my suffering and I let go. If you practice, I promise you will find the way which works best for you. 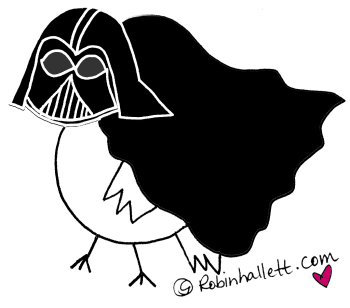 Hopefully you’ll do this before you’ve donned the full Darth Birdie regalia but even if you have, it is never ever too late. It is hard to phone a friend from the wheel. I have seen people come to their sessions still strapped to the wheel. Sometimes they are even dragging the disco ball with them and the announcer is shouting, exit the wheel! exit the wheel! but still, they cannot exit. In those moments I feel like the loving carnival barker inviting them to gently exit the ride. This takes time and patience and compassion. It is so very difficult sometimes to leave the wheel. I get it. I have my own wheel I am working with too, you know? The sacred is in the scared. There is a part inside you that is very small and scared and this part needs gentle reminders that it’s gonna be okay. Even though at times you feel broken and afraid, you are not alone here. This little self needs help to remember that you are never alone, no matter how convincing the evidence is. It takes patience and practice to remember this. Kindness and gentleness and patience. Yes, this is the way. Gently, gently you can exit the wheel on your own and come to a safe distance where you are able to hear Truth and Reality. Can you learn to recognize your spinning as a signal to exit the wheel? Recognizing that you are upset and taking a breath could be the first step towards exiting. Again, it takes practice and patience. Later perhaps you will see more clearly that it is impossible to hold both fear and love at the same time. Impossible to be safe and in danger at once. Suffering or at peace… your mind is unable to hold both states at once. You cannot be spinning the wheel of suffering while trying to raise your vibration but the suffering can serve to signal you to wake up and choose to walk away. Later still perhaps you can begin a practice of gentle inquiry, I like Byron Katie’s work where she asks us to consider: Is this really true? Can I absolutely know this is the truth? What would it be like without this story? What if I turn the statement around? My ego is very sure about things. There are days I hear the little self in me saying, oh god I have so far to go, I am still so very screwed up… I know nothing… I’m an idiot. 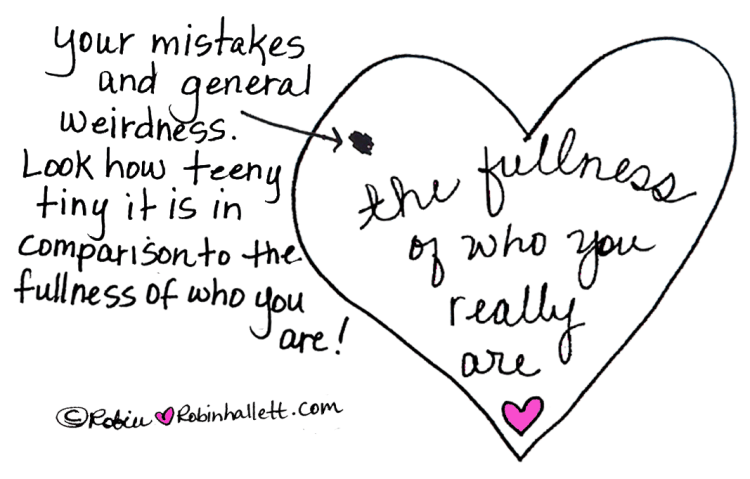 Those are very hard moments when I fall into profound forgetfulness of who I truly am. I tell you this because even after all this time of diligently practicing (and not so diligently too) I still have places in me where I get hung up in those tiny slivers of unreality; places where it all feels very scary and true to me. I am practicing too and you and I are not alone. It’s always the ego which whispers the bad advice that we don’t need help and we don’t need to do the practices and we don’t need to do anything more than to understand everything with our minds. It’s always the ego which will try to satisfy our urge to get help by reasoning, rationalizing, and fixing but suffering minds never really let us do the real work of breaking free. My prayer is that we all may realize with more clarity that we don’t have so far to go… in fact we’ve got nowhere to go. All we ever need to do is shift our attention back to where we really are from: Love. Love is where we are from. We come from love. 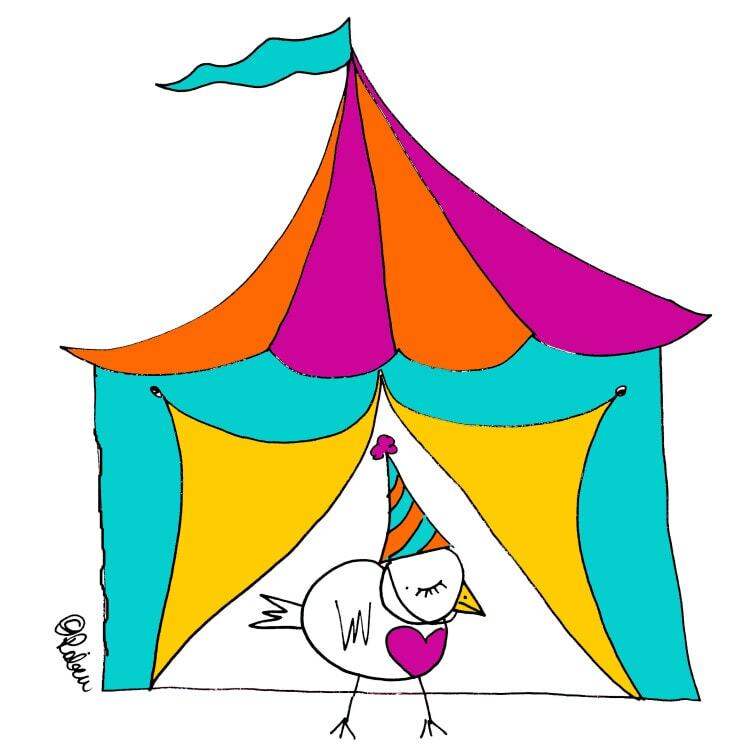 ⟵Healing Our Wounded Inner Child: Welcoming Ourselves into the World.